Imagine if you were in such a rush that you held your camera the wrong way and so the video turned out to be upside down? Or maybe you were filming vertically with your smartphone but want to create a horizontal video instead? In both those cases and quite a few others, the solution that you’re looking for is simple: Rotate the video orientation. 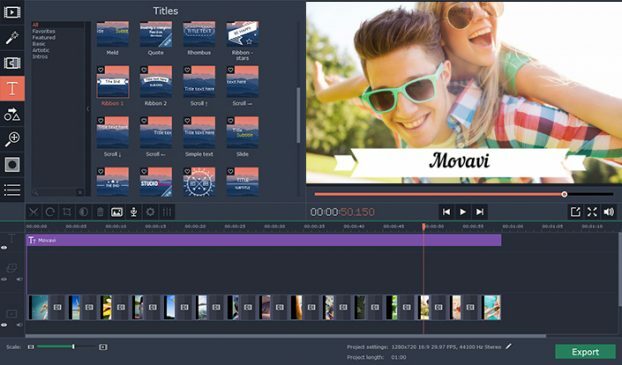 Launch Movavi Video Editor and select ‘Create project in full feature mode’. Click on the ‘Add Media Files’ button and select the video that you want to rotate. Click on the video in the ‘Timeline’ to select it. Find the ‘Rotate’ button above the ‘Timeline’ and click it to rotate your video by 90 degrees clockwise. Keep clicking the rotate button until the orientation is correct. When you’re satisfied, click ‘Export’ to save the video. Assuming you don’t want to rotate the video by multiples of 90 degrees, you could instead find the ‘Crop and Rotate’ button and use it to rotate your video by any amount you require. Now that you know how to rotate a video using both methods in Movavi Video Editor, you can simply choose which one fits your needs best. It is worth noting that in some cases you may only want to rotate part of a video, and you can opt to do that as well. With Movavi Video Editor you can easily split your video into segments, then select the segment that you want to rotate and use the steps above. On top of that Movavi Video Editor will also let you merge clips together, enhance the video quality, apply filters and special effects, add audio tracks, insert customizable text, and much more. All these features are designed to be intuitive, so you shouldn’t have any trouble familiarizing yourself with them. Assuming there’s a video that you want to rotate and fix its orientation, why not go ahead and give it a try? Frankly it doesn’t get any easier than it is with Movavi Video Editor, and you should be done in no time.